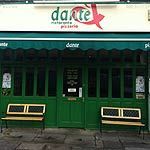 Located opposite Ealing Common tube station, Dante offers a wide choice of authentic Italian cuisine. Do you work at Dante? What did you think of Dante?